When I started writing this article, I had no idea it would grow as much as it has. People keep sending me really interesting links and information so I thought I would create a part 3. 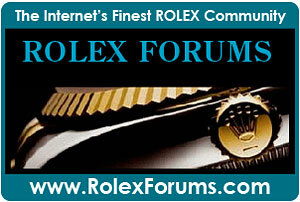 Gerard from Switzerland who is a regular commenter and contributer on Jake's Rolex Watch Blog sent in a link for a fascinating discussion taking place on Watchuseek.com forum which you can view by clicking here. 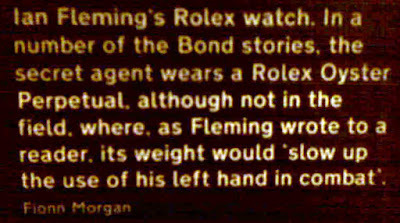 M4tt was involved in the discussion about what kind of watch James Bond should wear and he siad "Then it struck me: Fleming modelled much of Bond's taste and wardrobe upon his own. He even had basically the same rank and back story as his character. 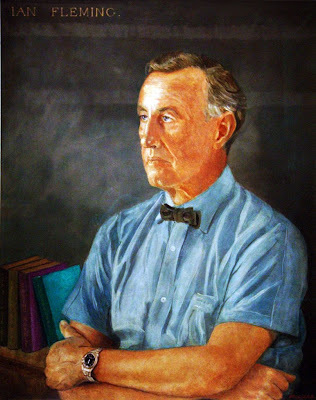 I just wondered, what watch did Ian Fleming himself wear? "That's a real question with a real answer... and I found it!" 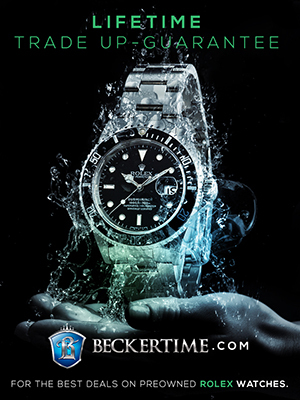 "Now, this isn't going to be just any old watch. When you are being painted for the National Portrait Gallery that is a signal honour and a Big Deal. 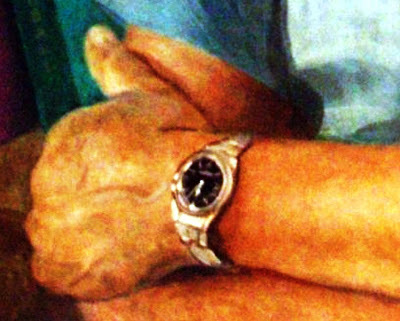 We already know Fleming cared about watches. Well, when being painted for posterity he would be wearing his best. Wouldn't you? 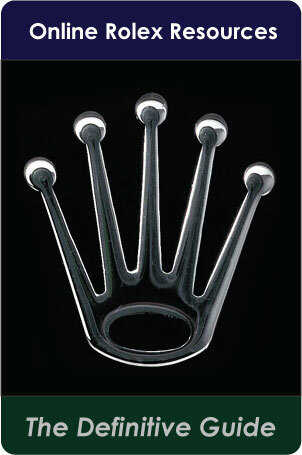 Likewise, what would he give his 'alter ego but the best watch he could think of? 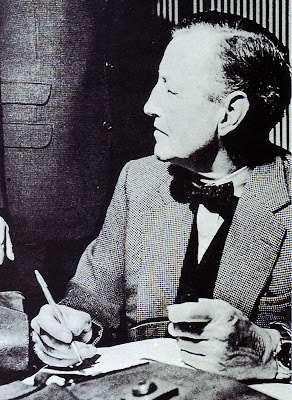 As he wasn't exactly poor and had exacting tastes, this would have been the best watch he owned..."
Pictured above is Ian Fleming wearing what is clearly a Rolex Oyster. 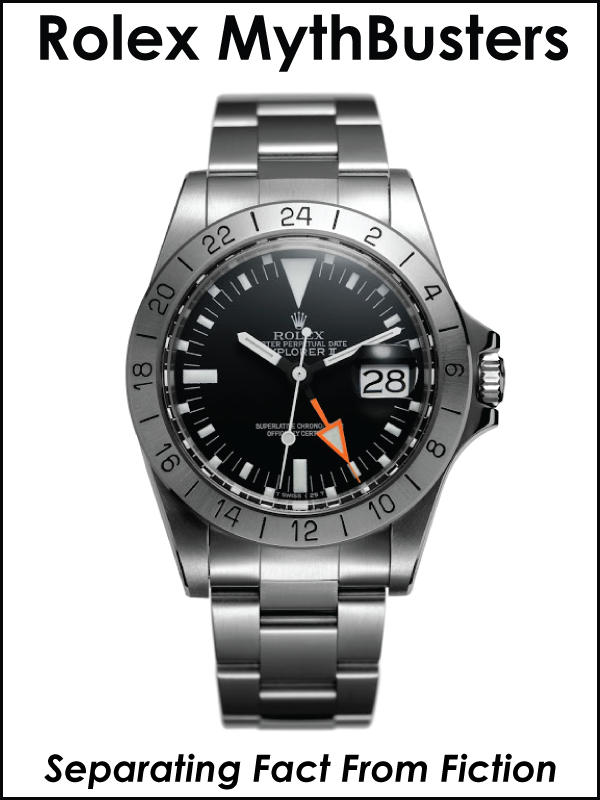 From the discussion on Watchuseek.com and Dell Deaton's comment on part 2, it is looking more and more as if Ian Fleming wore a Rolex Explorer with a black dial or a simple Rolex Oyster. 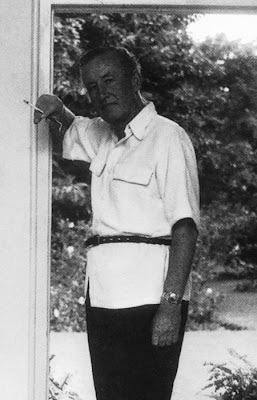 It turns out Ian Fleming did wear a Rolex Explorer. 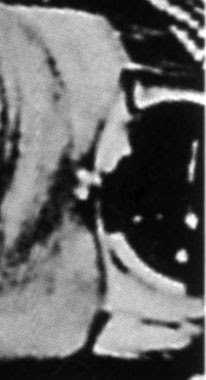 I learned this from Mark020 in the Dutch Rolex Forum who shared the two following images from the Ian Fleming exhibition currently going on in England at the Imperial War Museum. 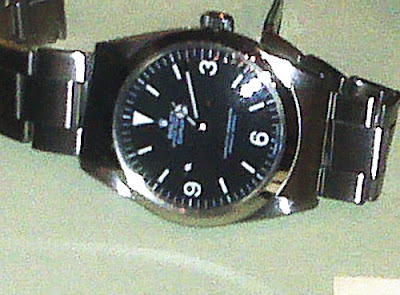 The photo below is of Ian Fleming's Rolex Explorer. 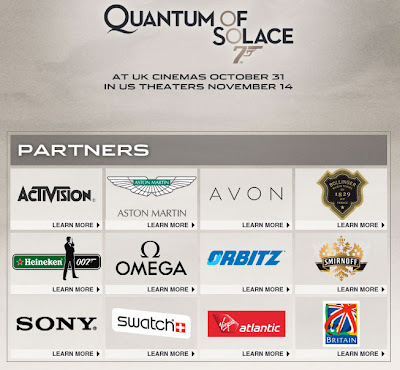 Was James Bond's Switch to Omega paid Product Placement? 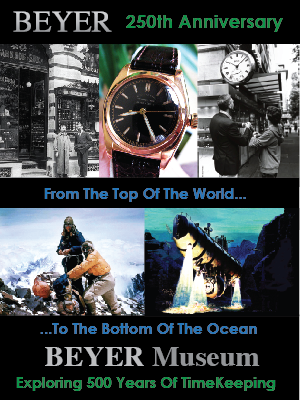 The fact that Omega actually paid to be in James Bond movies from 1994 is actually the brainchild of James Bond production and of the notorious Jean-Claude Biver, then in charge of Omega marketing. 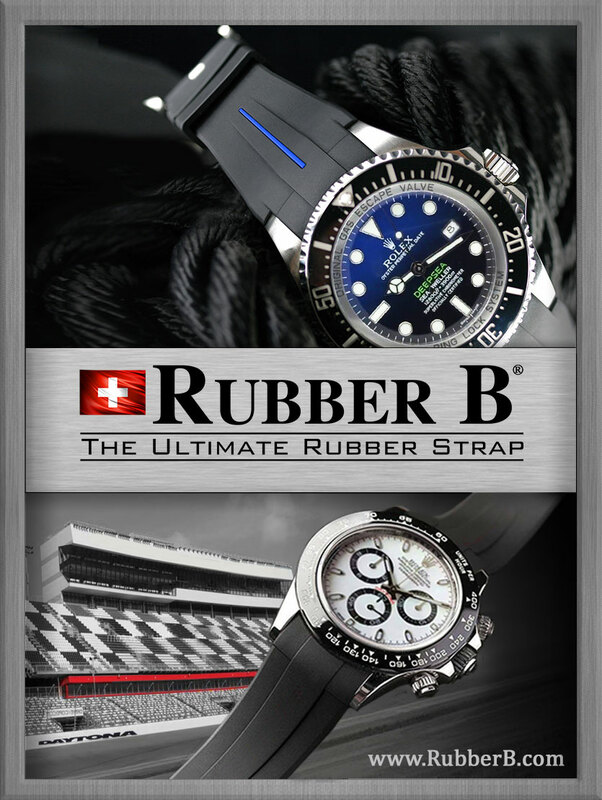 The story behind this partnership, one of the first product placements + conjoint marketing campaingn, has been documented by Jean-Claude Biver himself, in a testimony he made on Forumamaontres. 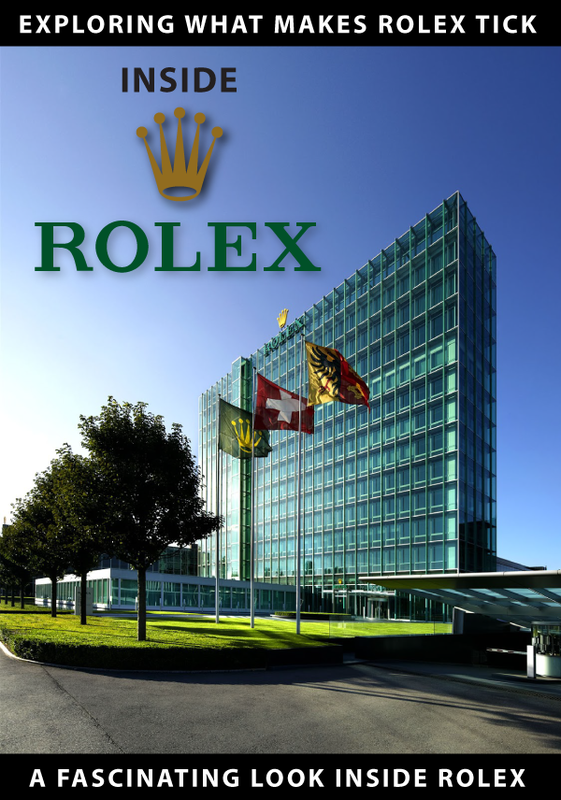 Click here to read the story posted on the great French Rolex Forum named Forum A Montres which I translated using Google translator from French to English. 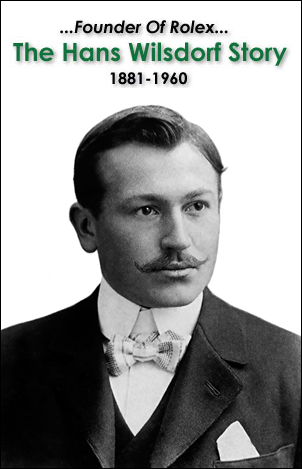 Click here to read the story as it was originally written in French. 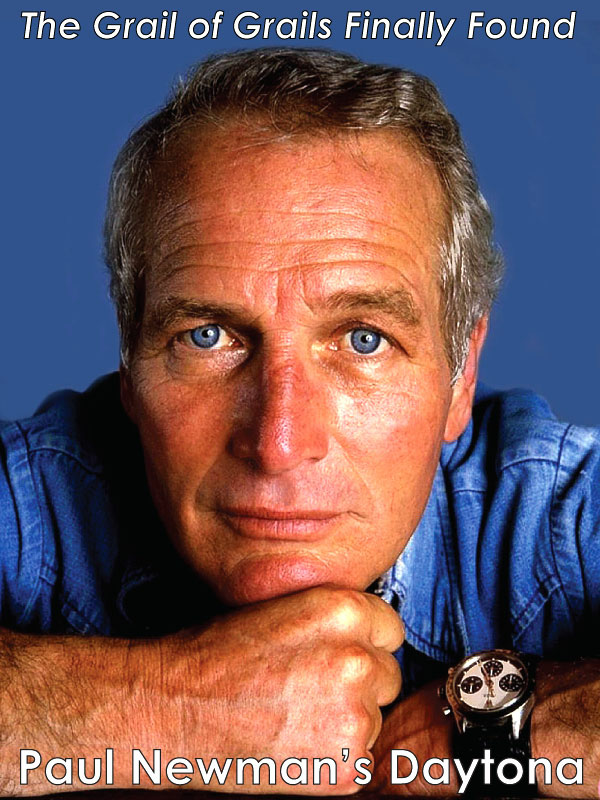 Where Did Daniel Craigs Rolex 6538 Sean Connery Come From? 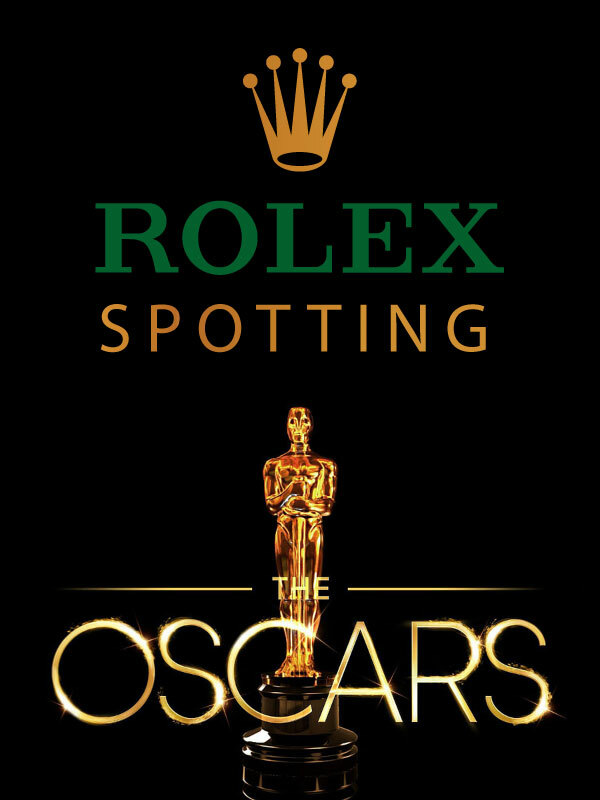 I think I may have found another clue that explains why Daniel Craig started wearing the his Rolex 6538 Submariner. Tom Ford is an ultra successful clothing designer who brought Gucci back to like and made it ultra-successful. 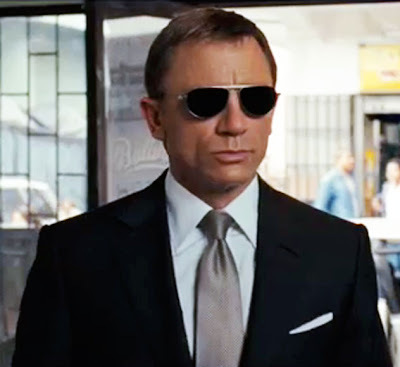 EON Productions hired Tom Ford to replace Brioni as the official tailor of James Bond for the movie Quantum of Solace. 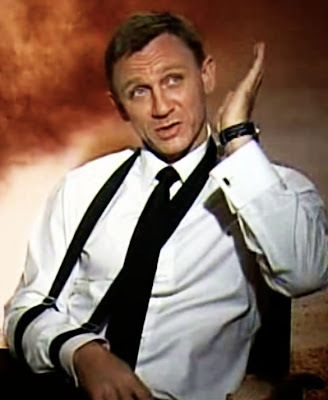 Tom Ford wanted to bring back the ultra-masculine look of Sean Connery with Daniel Craig. 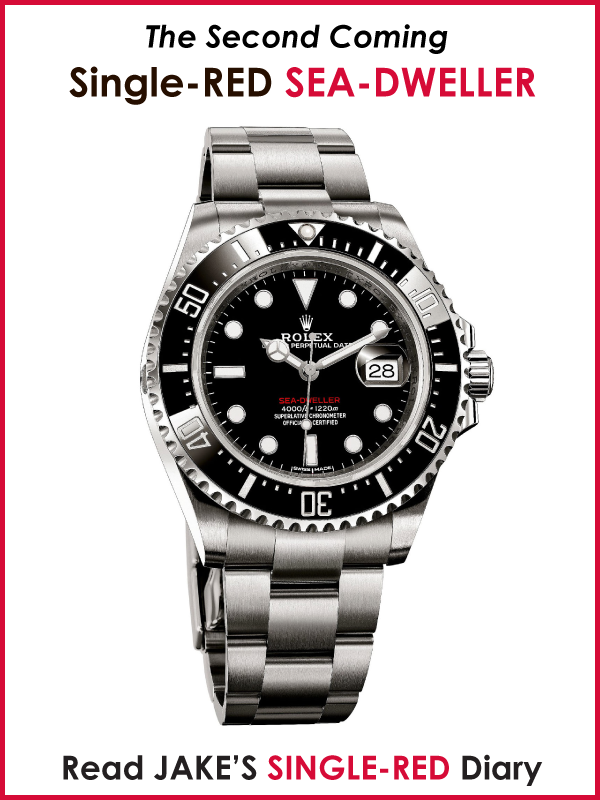 since Tom is obviously into Rolex and he probably did his homework, he realized that the original Submariner goes better with the look but could not be used in the movie.